North End Doorway. Tileston Street, near the Old North Church. I'd love to see this area, esp. because of Kali's nostalgic comment! Great slice-of-life photo. Nice capture. I wonder if he was waiting for someone or something, standing there reading the newspaper. Great composition. The photo, which starts to tell a story. A simple scenery of a simple life in a simple door.. But there's a life's story here behind, and even more than one when I read the comments..Interesting to see that people are more moved by simple things than by great places sometimes..
A great slice-of-life shot. 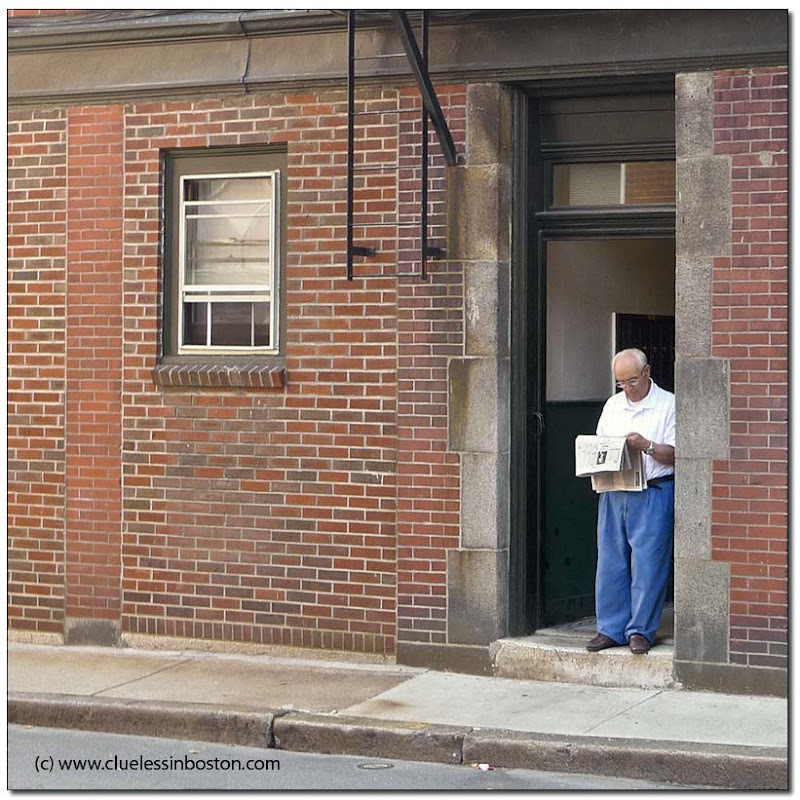 Is he reading the Boston Globe?